Are you looking to start a house project after moving into the Hawaii home you purchased with your VA loan benefits? Maybe you’re thinking of updating the landscaping, lighting or getting a closet system installed. The good thing is that you used your VA home loan, put no money down, and saved a couple thousand dollars on closing costs! You can use that extra money to help make your new home the way you want it. Perhaps you’re thinking of an even bigger project like adding an ohana unit, renovating a bathroom or the kitchen. Whatever your goals are – you need to make sure you hire the right people to do it! Here at Hawaii VA Loans, we’ve come across valuable advice on the topic of hiring contractors, service professionals, and tradespeople. Use the information we’ve gathered below as your go-t0 reference for finding and communicating with any professional who works in the home repair/maintenance/building industry. Ask your friends or neighbors for names of people they’ve used to work on their homes. Another trick is to notice the homes in your area that are currently being renovated that are attractive to you in their style and design, and write the company names of the work trucks parked outside of their houses. The same can be said for exterior paint jobs. Consider knocking on a homeowner’s door of a color you love and ask them for a referral. Finally, utilize your real estate agent’s knowledge of the contractors in the area that he or she has had great experiences with in their career. Contact the contractors to inquire about the types of projects they do. You want to make sure they are knowledgeable of all the regulations and codes that are applicable for the project you are interested in doing. Discuss with them how many projects they are managing. This will give you an understanding of how slow or fast they will be able to take on your project as well as how in demand they are (which could be a good thing!). Hawaii VA Loans believes in the power of a good, old fashioned in-person meeting. There’s a lot you can discover about a person by meeting them and essentially “sizing them up.” Are they professional? Are they friendly? Are they knowledgeable? Are they detail oriented? Do you feel like you can trust them? These are all questions that should be answered from a face-to-face meeting. See “6 Additional Questions to Ask a General Contractor” at the end of his post. Do some quality investigative research on the contractors. Contact the Better Business Bureau and the state’s consumer protection agency to find out more about their companies (make sure they have no prior judgments against them from previous jobs). Use online review sites to get a sense of overall customer satisfaction. Ask the company for a list of references and projects you can visit to see their work in-person. If they don’t have any, that could be scary! Most importantly, verify that they are licensed contractor so you won’t be held responsible for any work that is not to code or injuries workers incur on your job. After they’ve seen your property in-person, ask the contractors for estimates and have them break down the costs. Materials alone can make up 40% of the estimate. The contractor may ask you for blueprints if you previously worked with an architect, your budget, and your start times. Use the estimates as a guide and ultimately choose the contractor who communicates the best and has the best reputation. Demand a large deposit to purchase materials. Most contractors will have a charge account with suppliers. Insist you sign a contract on the first visit. Payment: On a large project, you will likely pay 10% to start followed by three milestone payments of 25% and ending with a payment of 15% of the total project. Use the milestones to reassess the contract and making sure it is being met. Time: Make sure you have communicated with the contractor about the window of time for the project. Expectations: What are your responsibilities in the project? Do you need to remove furniture or board a pet? Discuss with the contractor what he or she expects of you. All building permits obtained by the contractor and reassurance that work will be compliant with building codes. Who will be my point of contact for job progress and other issues? What work will your employees do? What efforts will you make to ensure your site is clean and safe and prevent dust from entering the living areas? One last thing… never feel bad for asking too many questions or making the contractor put everything in writing! This is your investment and their profession. 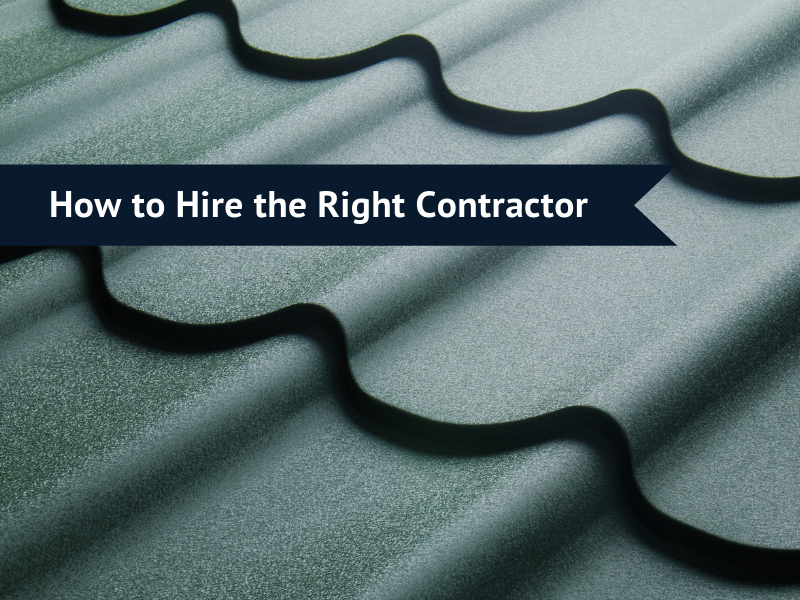 If a contractor tries to tell you that it’s not necessary to have any one of the above in writing, you can refer them to this blog post. Hawaii VA Loans has your back! As Hawaii’s longest running VA loan specialized lender, the Hawaii VA Loans team will make sure to get you on your way to becoming a Hawaii homeowner. Contact us at 808-792-4251 or complete our short online application.